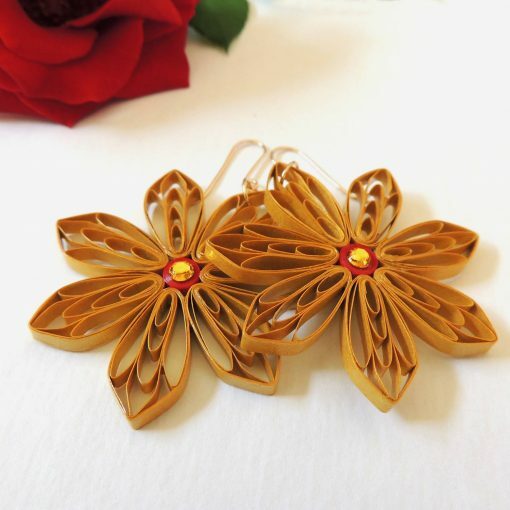 Golden flowers earrings – eco friendly vegan earrings hand made from paper, gold-filled and swarovski crystals using unique filigree technology from Renaissance period. 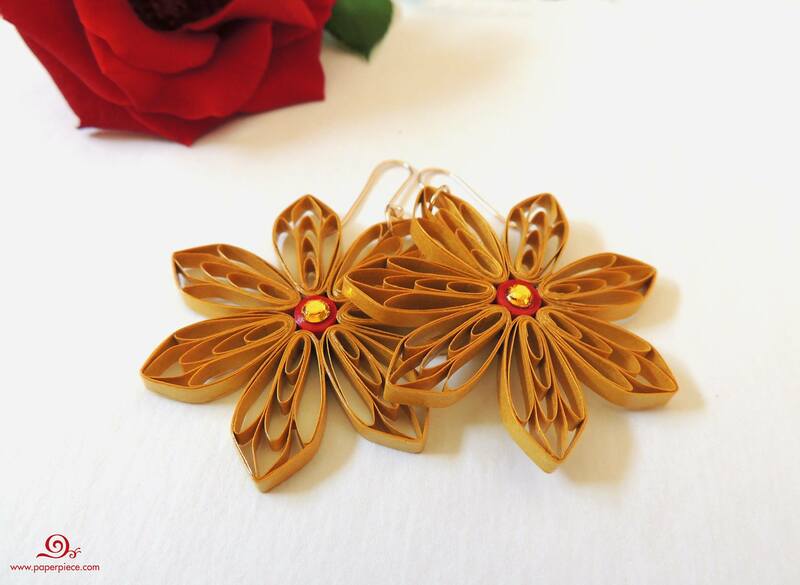 Romantic golden touch of these earrings will emphasize your personal style. It will be very unique and fashion gift for her Birthday or any other occasion on her life. 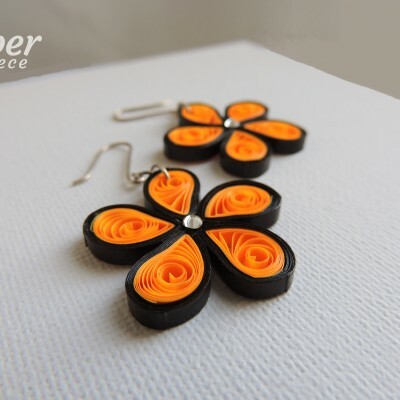 Paper Piece products are durable as plastic and light as paper. The paper is coated with a hypoallergenic varnish that hardens and protects the jewelry from all weather conditions (including rain).